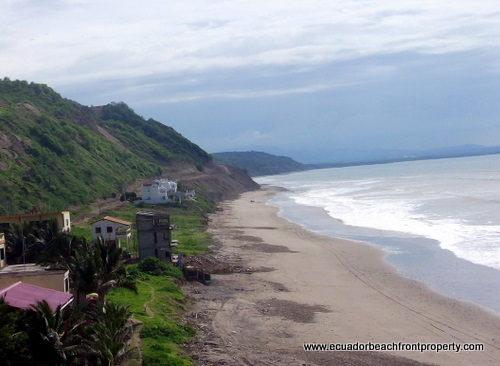 The province of Manabi has one of the most perfect climates that I could ever imagine. The average range of temperatures we experience here year-round are nighttime lows in the high 60s to daytime highs in the mid 80s. 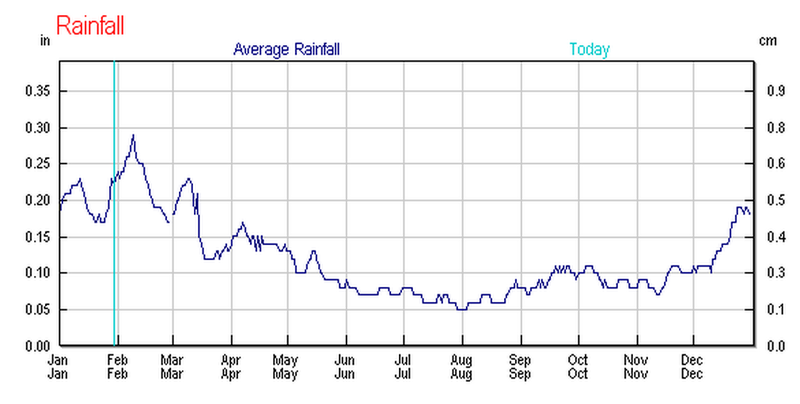 The seasons are characterized not by temperature but by rainfall. 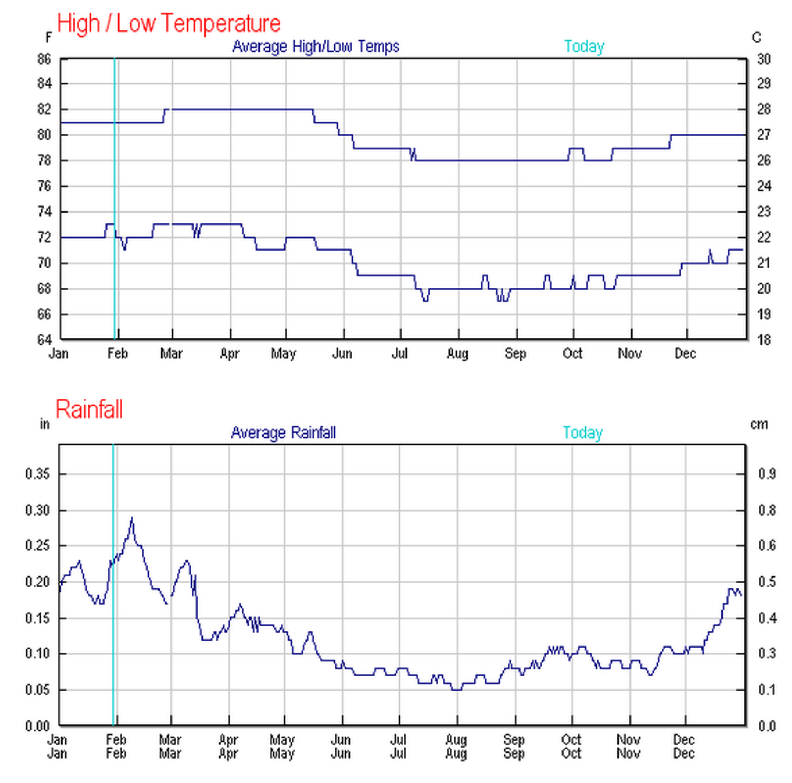 The graphs below came from wunderground.com using the Manta airport as the reference site. The results of rain on the landscape are unmistakable. Hillsides that appeared to be inhabited with only cactus and leafless shrubs and trees have become lush in a matter of days. To provide an example, I am posting the same two images taken 22 days apart. 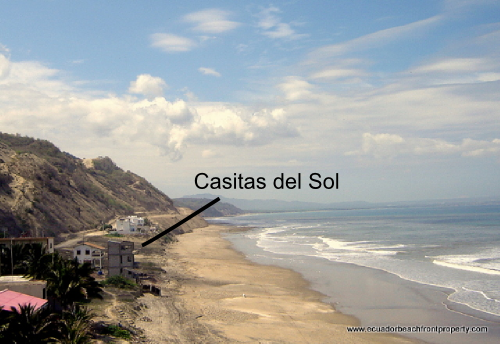 The photos feature the location of our new development site, Casitas del Sol, here in Crucita. 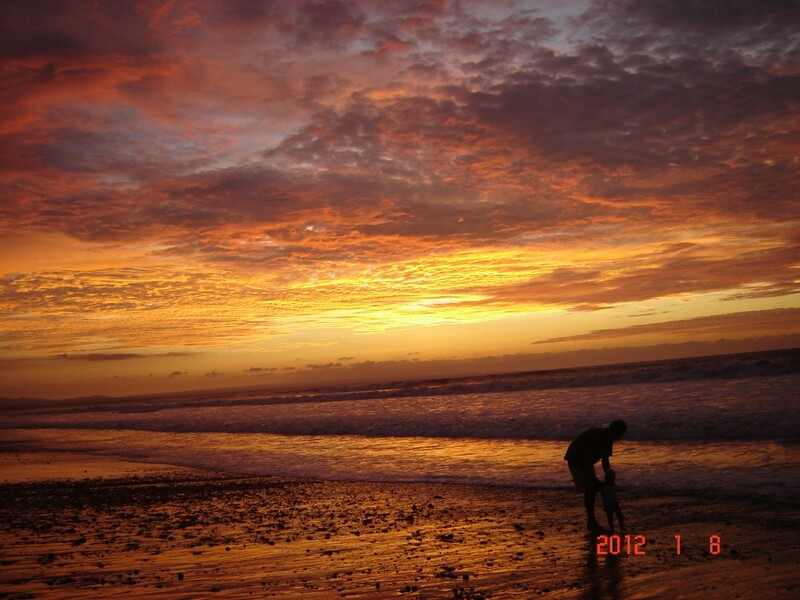 The first photo was taken on January 8, 2012 before any major rainfall events. The second image I took about two hours ago. It has been raining a few times per week; it has typically been raining at night and then clearing mid-morning to yield a lovely sunny afternoon. I haven’t stayed up to date with blogging these past few months so I thought I’d ease my way back in with a photo I took a couple of weeks ago here in Crucita. Gotta love “winter” on the Ecuadorian coast!